History of the National Black Nurses Association, Inc. There was a Black Nurse who envisioned a system that would establish communication and dialogue among Black nurses because of her desire to who they were, where they were and how they functioned. Most of all, she was experiencing an impelling need to join with other Black nurses in mobilizing to play a more meaningful role in impacting the health care needs and thus the status of Black people. At professional meetings, there seemed little time to commune together or to experience meaningful interaction about common concerns. This lack of communication coupled with inadequacies she had experienced, being heaped upon Black people who had been systematically denied access to health care through design or negligence, motivated her to move in the direction of meeting with and discussing common goals, problems, needs and ideals with a group gathered in Miami, Florida for an ANA convention. This nurse, Lauranne Sams, was charged by the Miami group to keep in touch with those nurses present. After much discussion with others, Lauranne felt compelled to seek an avenue for future dialogue and meetings. Thus, a small group of nurses met at the home of Dr. Mary Harper in Cleveland, Ohio to consider an organization of Black nurses December 18-19, 1971. They formed a steering committee, formulated a philosophy, defined goals and objectives and voted to become a more permanent and cohesive structure. Incorporation procedures were also launched. Thus was the beginning of the National Black Nurses Association. The steering committee, which became the Board of Directors, grew to include other nurses representing wider geographical areas. 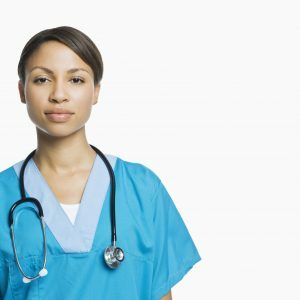 The business of the organization has been carried out in a manner which has afforded success in establishing a network of communication, supplying a support system to many, creating National recognition of the cohesion and dedication among Black nurses and effecting changes in the overall delivery of health care in many communities. NBNA is incorporated as a no-profit organization in the State of Ohio.